The 9th December 2015 Coins and Banknotes auction was our last auction held at the Lord Leycester Hotel. From January 2016 we will be changing our auction venue to The Court House, in Jury Street, Warwick, CV34 4EW. All viewing, invoice settlement and lot collection will still take place at our offices at Chalon House. The cold and wet weather did little to dampen the spirits of our keen bidders who had over 560 lots to choose from this sale. 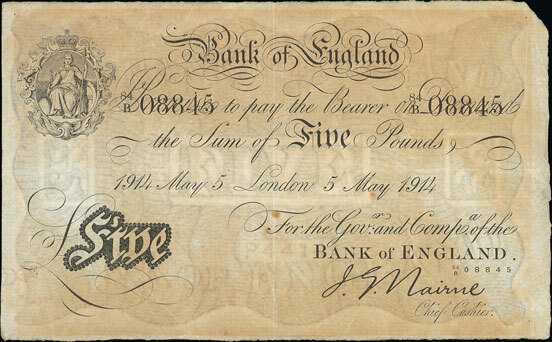 The auction began, as ever, with the English banknotes section. 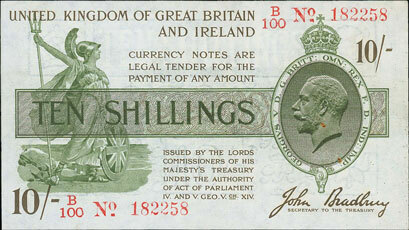 Lot 282 was this lovely Bradbury third issue 10 shilling note. It was graded as very fine and realised £236. Lots 283 to 286 were a range of the sought after Nairne £5 notes. Though the notes were graded between fair and poor it is a testament to their scarcity that they achieved a combined total of £407. Another unusual lot offered in this sale was this Edwardian promotional issue by printing company Waterlow and Son. 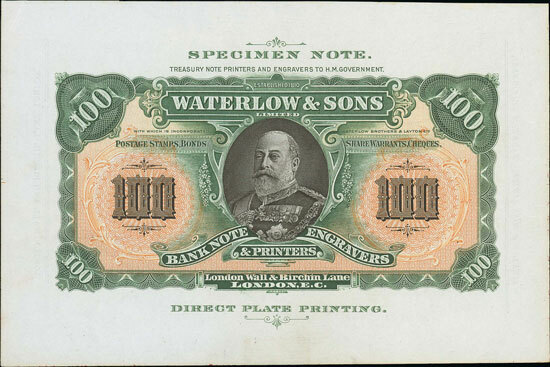 Printed to show the capabilities of a particular printing company this attractive note realised £106. The world banknotes section contained 7 miscellaneous lots from Russia. They proved particularly popular selling for a combined total of £2,348. 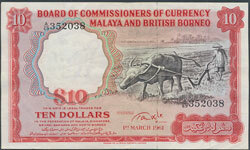 Lot 325 in this section was a range of 7 notes from Malaya and British Borneo. All 7 were $10 notes dated 1961 and sold for over 5 times estimate at £483! 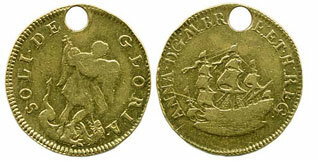 The British coins section included a comprehensive collection of fractional guineas which were submitted for sale from a single source. 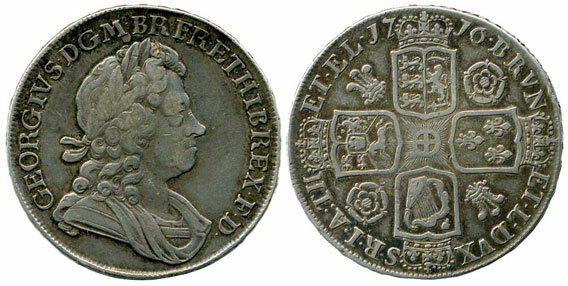 Highlights include this 1718 quarter guinea graded as good extremely fine which realised £566. 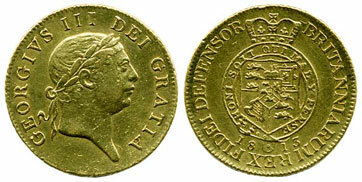 This scarce date 1799 third guinea achieved £566. 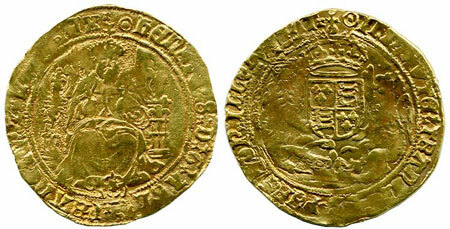 Hammered coins also proved popular with this Henry VIII half sovereign selling for well above estimate at £1,032. 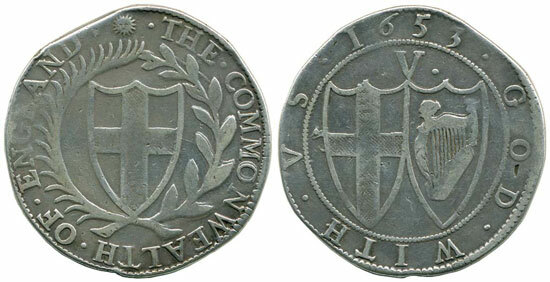 And this 1653 Commonwealth crown, graded as good fine, realising £1,062. Lot 428 in the sale was this unusual Queen Anne touchpiece which sold for £436. For the full story behind this interesting lot please see our Latest News page. An excellent range of crowns were also offered in this sale with this 1716 George I roses and plumes crown realising £885. 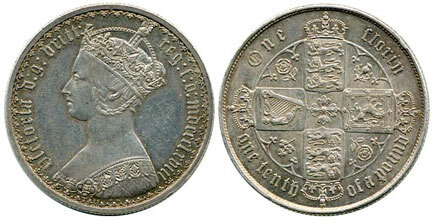 And this 1847 Gothic crown achieving £1357. It was also a good auction for buyers of gothic florins with 24 individually lotted examples on offer. 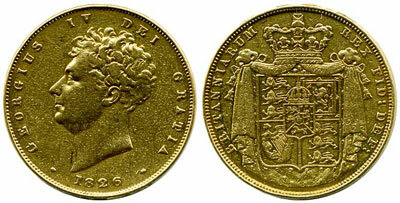 Highlights included this 1868 die 25, graded as good extremely fine, which realised £330. 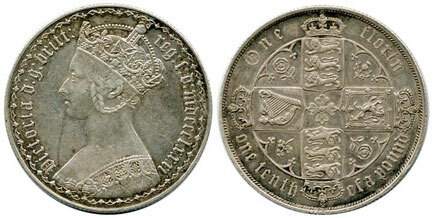 And this 1881 34 arcs xxxi/xxri and graded as good extremely fine, which sold for £365. 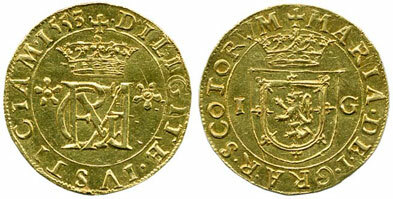 An excellent range of gold coins were offered in this sale. 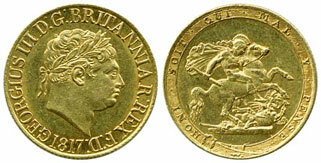 This 1813 military guinea achieved £2,478. 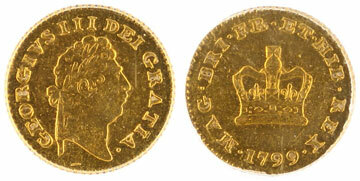 Lot 525, a 1817 sovereign graded as extremely fine, sold for £1357. And this 1826 £2, graded as good fine, achieved £1652 despite being from a mount. The world coin section included a plethora of miscellaneous collections most of which sold above estimate. Of particular note in this section was this scarce Scottish Queen Mary 1553 forty-four shillings gold coin which realised £2,006. To read the story behind this lot please see our Latest News page. Our next coin and banknote auction will be held on Wednesday 17th February 2016. Look out for the full catalogue for this sale, which will appear on our website in the next few weeks. Also keep an eye on our Twitter and Facebook pages which will include updates of our latest auction news.